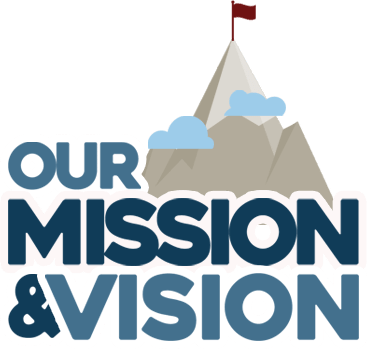 Our Mission: To Educate, Elevate and Unite Property owners, Insurance industry professionals & Storm Restoration contractors and build. Our Vision: To mold an environment that will improve relations, protect policyholders and increase the quality and level of services through the promotion of ethical contracting methods and enforcement of fair claims practices by moving forward together in awareness and acting with precision as one. Passion- We will execute our agenda with the same unrelenting passion and reason that drove us to create the organization in the first place; remolding our industry to improve the level of service and quality for all. Working to make a Difference- We will work together for the good of the people and implement programs that serve those who need our help to make a difference. Trust- We will build our relationships based on trust and will continue to seek out those who are trustworthy because trust instills confidence in those whose trust we seek to gain to achieve our mission. Directness- We will say what needs to be said without political correctness or “sugar coating” so long as what’s being said is truth based on facts, and our assessment of these facts are fair and unbiased. Open, Honest Communication- We are breeding a culture in Storm Nation that promotes honesty, loyalty and open lines of communication on all sides of the fence regardless of personal opinion. Gratitude- We will express appreciation for all of those whose efforts and participation continue to evolve the organization, further propelling the movement to create the change we all long to see. Respect- We will put egos aside to respect the time, efforts and opinions of others no matter what the cost. Integrity – We will follow through on our promises and rebuke those who put up a false front for their own personal agenda by staying authentic and true to the cause. Accountability- We will hold ourselves and our peers accountable for our actions in and out of the industry. Teamwork- As an organization, we base our efforts on combined consciousness and collaboration of ideas that will uplift the members to implement the agenda necessary for our growth and success so that we may increase our level of service. Innovation & Creativity- At Storm Nation we will use our creativity to innovate and improve for those we serve and protect. Empowerment- We will empower the entrepreneurs and clients in our organization through education and awareness to help them make better informed decisions. Unselfishness- We will give unselfishly to those who are truly in need of our protection, support and services so that we may provide a better future for all fairly. Simplicity- We will not over complicate the mission or agenda to achieve our desired result.